There’s décor I like, and then there’s décor I can’t. stop. thinking. about. Every week I showcase an item that I am currently obsessing over, aka a “Funk favorite.” It’s no secret that art truly impacts a home, and I’ve seen firsthand how good artwork can transform an ordinary space into an extraordinary room. Starry Seas 2 by Teodora Guererra evokes a tranquility well suited to a bedroom or living space. The ombré-style fade of icy blue to a deeper, darker blue makes a dramatic statement while still feeling peaceful and calm. 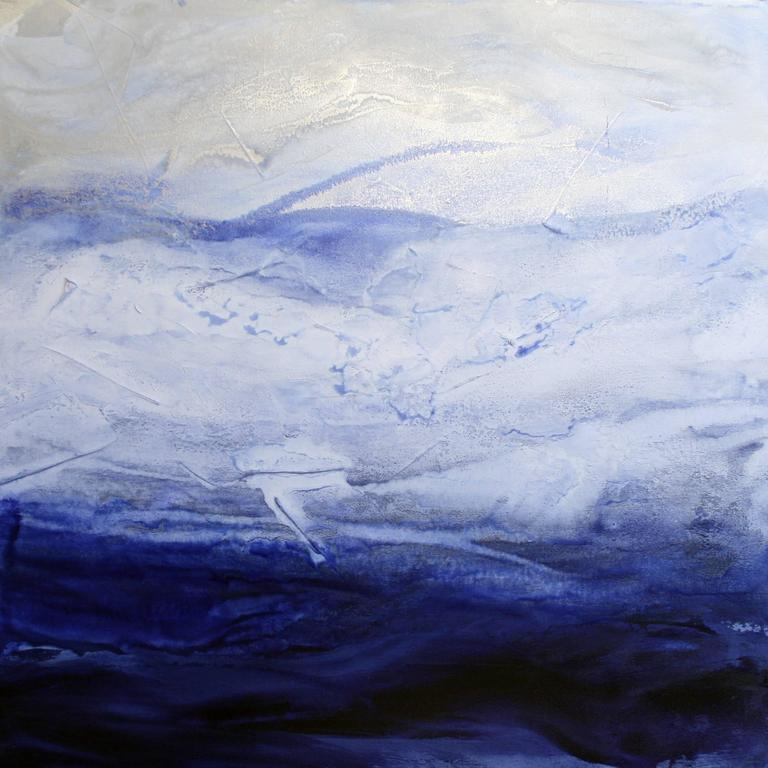 According to Guererra, this is one of many paintings created to explore the depths of our emotions, with the artist aptly referring to these emotions as “tides.” Guererra is known for her unique techniques that involve layering, dripping, and pouring different paint colors, as well as sometimes adding other materials to the paint. Inspired by the rich, natural landscapes of New York, Connecticut, and Arizona, where she taught and painted after getting her Masters, Guererra combines textures and colors to evoke a range of emotions and push boundaries. Her artistic collection is rich with statement-making paintings, any of which would look fantastic in our clients’ homes. We’re partial to Starry Seas 2 for its moody, romantic sensibility, and would play up the dramatic factor by tying in other rich, dark hues in surrounding accent pieces and accessories or pair it with clean, sleek, modern lines for a contrasting effect. Thank you Teo! Love your work!